This is Aaron Murakami with Tesla Chargers. If you are receiving this email, it is because you have placed one or more orders with us for a battery charger/rejuvenator and/or solar charge controller. Thank you so much for purchasing a Tesla Charger – your wait will be more than worth it! Rest assured that your order is definitely in queue and the chargers are shipped in the same sequence that the orders were received. Every item is hand built to order and tested at John Bedini’s company in Hayden, Idaho. Hand built to order means that we almost never have any inventory and each item is built from scratch when the orders are received by us. Because more than one particular item is usually ordered by multiple customers, multiple units are usually built together to save time. Sometimes orders are shipped in a couple days after being received and some of the larger units can take weeks, which is strictly because of parts availability. Many of you with pending orders have ordered with us before and understand that sometimes it can take a while and we appreciate your patience. If you are a new customer and recently learned about us, please understand that these are not mass produced nor is this technology like anything else available. Please bear with us as we are doing everything we can to keep up with the increase in demand for our products. Quite literally, we are the only company in the world that offers this technology that actually charges batteries properly. We have always made it a priority to actually educate our customers on the science behind our chargers – so in the meantime, allow me to point to multiple sources of information that can answer a lot of your questions ahead of time. 2. Watch these 3 video: http://teslachargers.com/free-videos/ – the first 2 covers a lot about battery charging and rejuvenation processes in general. The third video shows how to match batteries to the Solar Charge Controllers (if applicable to you). 3. 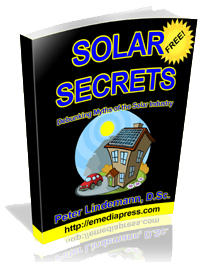 Get your FREE copy of Solar Secrets here: http://freesolarsecrets.com/solarsecrets.pdf – even if you aren’t doing anything with solar, get a copy! 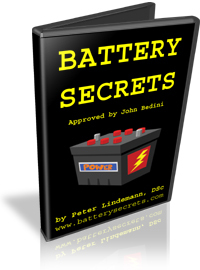 Read the Appendix – Lead Acid Battery Basics staring on page 36 – This will give you insights into lead acid battery chemistry that virtually no battery charger company understands. 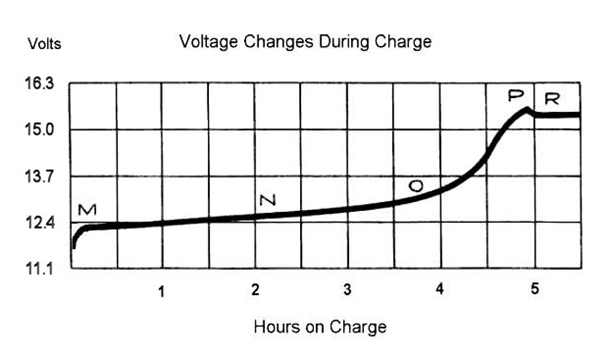 It is important to understand the graph on page 39 that shows what voltage the battery really needs to get pushed to in order to fully desulfate it with the drop in battery voltage after it peaks – that is the “topping event” that other chargers will never give to your batteries. Obviously, this is not important if you’re non technical and just want to hook up a charger and rejuvenate or charge your batteries with the best technology possible, but the concepts are actually fairly simple and straight forward. If you take the time to do the above 3 mentioned items, you will be way ahead of the curve in regards to your knowledge on battery chemistry and how to properly charge a lead acid battery. We will be shipping your item as soon as it is ready and will send you a notice. In the meantime, please do take the time to check out the above references and thank you for supporting Tesla Chargers. This new charger is the biggest little charger in the world. Tesla Charger’s flagship charger has been the 2A12 for years and it previously held that title. Priced similar to the older model!!! We have a * HUGE * DISCOUNT for this new 2.5A12-EX EXTREME model right now, but first, watch this video! S3A12 LIFEPO4 – We are no longer going to offer the LiFePO4 version of the S3A12 solar charge controller, which goes up to 14.8 volts, as a regular part of our catalog. 15-20% DISCOUNT – Virtually all of our chargers/rejuvenators & solar charge controllers have been discounted 15-20% for a while. We are looking at ending this discount before the upcoming conference and may offer the discount only at the conference – then all chargers will be back to the regular prices. INSTRUCTION MANUAL – We are in the process of creating a new free book, which is basically an Instruction Manual for all of our chargers and solar charge controllers. This is not an easy task, but we will send out a link when it is done so you can download it for reference whether you own a charger or not. All Solar Charge Controllers are now the EX (Extreme) version, which utilizes John Bedini’s new proprietary SCR switching method and have been measured up to 99.8% efficient. They deliver more to the battery from the solar panels than any other solar charge controller in the world. On the solar charge controller product pages, it may not list these units as EX models, but they are all EX models this is what has been shipping for the last few weeks. The 10 & 20 amp 12 volt Tesla Solar Tracker 5’s have been upgraded to the new EX version, which stands for EXTREME. They’re 99.5%+ EFFICIENT and are more bulletproof than ever. When the battery is pushed to the top, it will unlatch the SCRs (turn off a type of switch) for 6 seconds and the battery will settle down a bit and then turn back on. These are also available at a 20% DISCOUNT, which will be expiring soon. The links are below the video so make sure to get your hands on the world’s best 10 & 20 amp solar charge controller for 12 volt batteries! The reason that lead acid batteries go bad is because every battery charger on the market, except for Tesla Chargers, chronically under chargers the battery. A lead acid battery actually needs to be pushed to 15.1-15.3 in order to fully remove the final layers of sulfation. Most chargers cut off from14.3 to 14.8 for lead acid batteries such as your car battery. A fully charged lead acid battery is 12.6 volts so when they push it to that range and the voltage settles at 12.6 or above, they try to convince you that the battery is fully charged. But the voltage can still sit there even if the full capacity of the lead acid batteries isn’t actually there. Many self-proclaimed experts will tell you that you can just increase the current (amperage) and boil the lead acid batteries a bit to get it back into shape. However, that is a scam because removing the sulfation on the lead plates is a VOLTAGE event and NOT a current event. If the voltage is not high enough (15.1~15.3), you can boil lead acid batteries for a week straight and no more sulfation will be dissolved back into solution. Tesla Chargers circuits are made by John Bedini, the world’s recognized master of lead acid battery charging and rejuvenation. The circuits he has invented actually bring the lead acid batteries to the full “topping event” where the batteries are fully charged and rejuvenated. Actually, these circuits can fully rebuild the chemistry of lead acid batteries to like-new on each charge/discharge cycle. How? The chemistry involved in discharging a battery is 100% reversible; this can give a theoretical INFINITE number of cycles to lead acid batteries. This is the most important graph in the history of lead acid batteries. And, it is about 100 years old! This has been known for a century, but the manufacturers of lead acid batteries of course have neglected to tell you this. As the voltage goes up, it comes to a peak and when the final layers of sulfation are removed in the range a bit over 15 volts, you see the voltage drop. Why does the voltage drop if it is fully charged instead of going up? Because the sulfation presents an impedance and that causes the voltage to rise like back pressure against a gas. When the final layer of sulfation is removed and dissolved back into solution, that electrolyte becomes more conductive, impedance drops, and the voltage goes down. That is the ‘TOPPING EVENT‘ that is necessary to 100% fully reverse the chemical changes caused by the discharge of lead acid batteries. That chart above is about 100 years old from a book we called the “Battery Bible” (not its real name). It was a manual teaching farmers a century ago how tokeep their lead acid batteries indefinitely good. That chart shows 2.6 volts per cell or 15.6 to reach the topping event but about $2 million in research at John Bedini’s company showed us that 15.1~15.3 is actually what was giving us the topping event in all the modern lead acid batteries that were tested. If it is a gel cell or AMG type lead acid, then 14.8 is the highest you want to go. Otherwise, the gel can get dried out prematurely. And 14.8 is also the same max voltage to push the new LiFePO4 batteries to. Those are lithium iron phosphates and not the typical “lithium ions”, which are really lithium cobalt batteries. We actually have a few solar charge controllers specific for LiFePO4’s which would work perfect for gels or AMG’s. 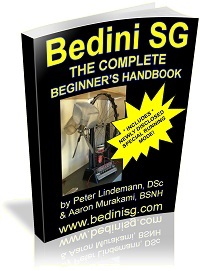 Tesla Chargers products are based on decades of lab tests by John Bedini and most specifically in the early 2000’s. The most up to date line that we have are better than ever and these products have saved literally hundreds to thousands of tons of batteries from the scrap yard since 2006 when Tesla Chargers first launched. Check it out and please help support us by giving it a LIKE!